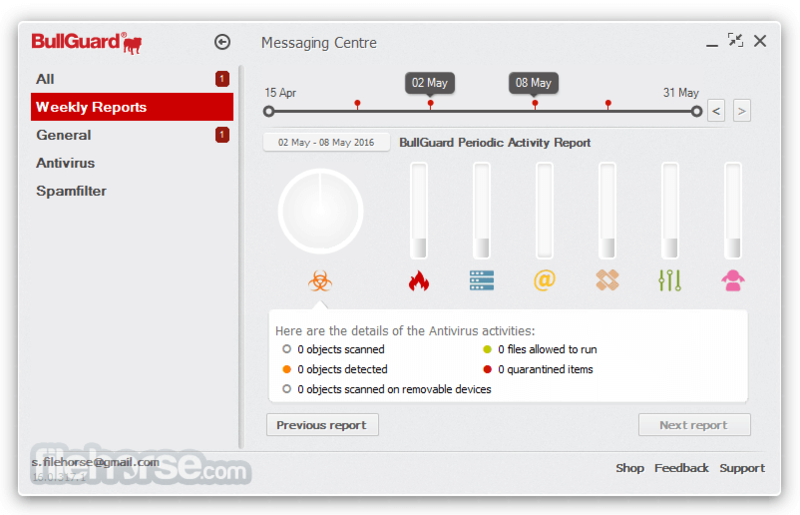 Independent tests established that BullGuard Antivirus has the best malware catch rates. It features multiple layers of defence providing an impenetrable protection system. Top malware catch rates, as proven by independent test labs! Lightning fast gaming - BullGuard doesn’t slow you down. Robust and comprehensive protection system for Windows PC! Easy to use. Simple, elegant and effortless. Installs quickly and is easy to manage. 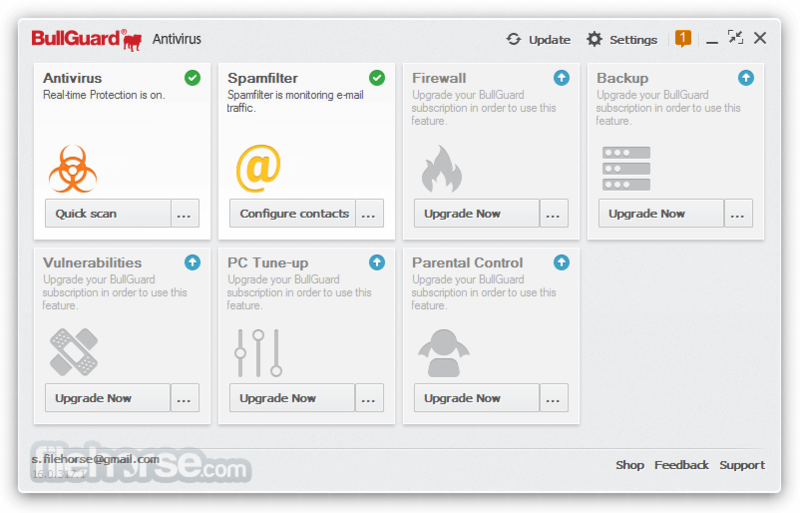 With an intuitive interface you can easily customise BullGuard Antivirus to suit your needs, whether it’s setting the spam filter, running scans or adjusting protection levels. Antivirus. Stops bugs in their tracks. According to independent labs Antivirus is the best software there is. That’s because the program combined traditional signature-based detection with industry-leading behavioural detection. In short, you get multi-layered defence that stops all known and unknown viruses before they can infect your computer. Unwanted applications. Stop them before they take control. Some programs contain adware, they install toolbars and modify your system settings. They're not malicious like trojans or worms but they can change your browser settings, alter your home page and direct you to another search engine by default. 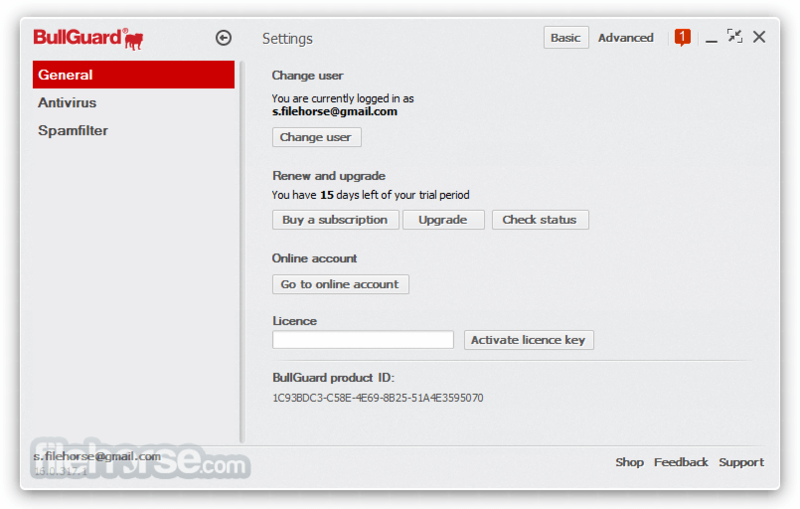 BullGuard's unwanted app tool flags up these programmes and stops them from changing your settings. Spamfilter. Never be troubled again. Stop that annoying spam from getting through to your inbox by blocking it with the spam filter. You’ll no longer be irritated by irrelevant messages and what’s more it also protects you from phishing scams. Safe Browsing. Brings the dark to the light. Malicious code often hides in websites. When you unwittingly click on a link your PC becomes infected and data is often stolen. It safe browsing warns you of hidden danger lurking in websites – so you’re always protected. High System Performance. It doesn’t slow you down. Many antivirus software protection programmes slow computers down. The Anti-virus has been designed to ensure your computer maintains consistently high performance. So whether you code, design or game you can still expect the computer operation you’re used to. Note: 15 days trial version.